J.L. Campbell: IWSG Anthology Contest Closes Today! IWSG Anthology Contest Closes Today! Today is another post day for the IWSG members. Another opportunity to release our fears and offer encouragement to each other. 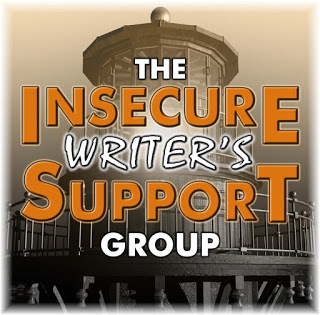 If you're not sure what the IWSG is about, check it out here and sign up to participate. Alex's helper this month are Tonja Drecker, Diane Burton, MJ Fifield and Rebecca Douglass. This month's optional question is: Win or not, do you usually finish your NaNo project? Have any of them gone on to be published? To answer, yes, most of my NaNo projects do get finished and yes, most of them are also published. Matter of fact, I have two unfinished projects that need some attention, but they are not on the front burner for NaNo 2017. 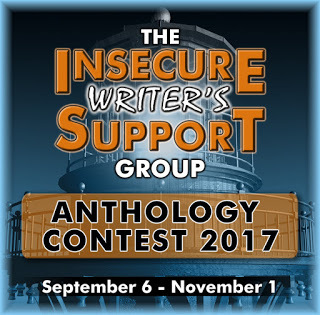 Do remember the ISWG Anthology Contest closes tomorrow. If you haven't yet submitted your entry, today's the day to get it done. Will you be putting in an entry for the anthology? Are you doing NaNo this year? Do you have a plan in place to finish? I guess you're not crazy like the rest of us. Congratulations on your upcoming release in the Shades of Love. I'm looking forward to reading it. It also very encouraging that you've published two of your NaNo books. I'm beginning to work on mine. Thanks, Pat and keep at it! That's great that you have been so successful with NaNo. I've never tried it. You should, Natalie, but let me warn you, it's not for the faint of heart. Congrats on published NaNo projects. I bet that feels good. You always score big with NaNo - awesome! Thanks, Alex. The craziness of it wears off in the middle for me these days, but I try to finish what I start. I'm not doing NaNo, and a part of that may in fact be because I took time to write a story for the anthology contest. Though realistically, even with that time, I wouldn't be done with editing the current book, and I am absolutely vowed not to start another until I finish this one. No more than 2 unedited novels in the pipeline at a time! So glad you have such success with NaNo! I meant to enter the anthology but time escaped me yet again :( And nope, NaNos not for me. But good for you on publishing your work! You're a NaNo machine, Joy! It works for you!